For Prices, please use the prices tab and click on product prices. * The Best for dishes! Simply water down (strength to suit you) in a spray bottle and you have the best spray and wipe you will have ever used! We are currently building up our raw materials section in our online store. This is to encourage our customers to have a go at making some simple products for the home, garden, bath, and just for family fun. Recently we did a holiday workshop where children came and made bath bombs. They were then able to purchase all the raw ingredients so they could go home and make several batches for family and friends. 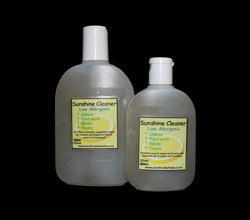 Household: natural flea and cat repellent, spray and wipe, air fresheners. Family and Gifts: Perfume Spritzers, Bath bombs, foot spa bath salts etc. This is fantastic for use where a persons skin is super sensitive ie eczema or other skin conditions. When we perspire, the excess harsh chemicals in our clothing can come into contact with already irritated skin. This is a great product for diabetics who have to really be careful about their feet. Washing socks in normal laundry powder can cause dry, cracked skin. You really notice the difference when you are folding the clothes, your hands dont get all dry and rough, and your clothes and linen are really soft. Each kit makes around 6 litres. I would use around a cup for a normal wash, perhaps a cup and a half for really dirty clothes. Low Suds. It is easy to make and store. Many of my customers enjoy using the kit because they don't have to do any weighing or measuring out, its all there ready to go!